As the year draws to a close, the internet is full of articles on ‘what to expect’ in 2015. And the one thing that finds mention in all these articles is ‘wearables’. Everybody seems to have realized the power these personal devices can have on our lives, if used in the right way. How many of us have been intrigued by the sheer genius and magic that the ‘Nivea Protege Sun wristband’ created on the beaches of Brazil! A simple use case of the beacon – to prevent kids from wandering away on the beach intrigued people across the world. This is what happens when beacons are used outside of the very conventional realm of retail, push messaging and advertising. 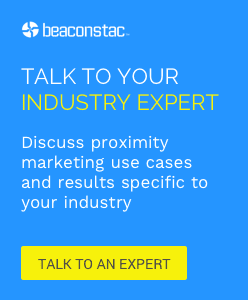 In today’s world of beacons, if ‘content’ is king, then ‘context’ is queen. Beacons have the potential to bring contextual intelligence to our phones and to our wrists. The real magic of beacons can be felt if user experiences are created in a way that they are ‘engaging’ and not ‘annoying’. This becomes even more pronounced in the case of wearables because, a wearable is a personal object, more personal than the phone (which has become an extension of our own lives now!) and it needs to be treated that way. In this article, we will discuss how beacons are making our wearable devices more interactive, useful, and making our lives simpler. How many times have we taken an elevator in the office and then felt we should have been more health-conscious and taken the stairs instead? What if your watch (on coming across a beacon placed near the elevator) could have just nudged you and said “Take the stairs instead”. Wouldn’t you just love the experience? All the more, if the watch told you how many calories you would burn by doing so. One of the best ways beacons can be used, is to encourage you to make better (and healthier) choices based on proximity, and use gamification to reward you with points for making those choices. ‘Smart Boundary’ project, showcased at the White House Presidential Innovation Fellow project in June this year, made use of this concept. It used beacons in office spaces to help employees lead a healthier lifestyle. A lot more offices can take cue and use beacons to encourage people to drink more water and to make healthier choices at the vending machine. The opportunities in this space are truly endless. There are other interesting uses of these watches as well. You can also use these like walkie-talkies to chat to other watch wearers nearby or, you can send your watch-owning friends little drawings you’ve made on the screen, as well as something very unusual – a “recording” of your heartbeat which they can ‘feel’ thanks to the watch’s vibrations. Did you know that 49% of people forget to wear their sunglasses on sunny days? The number of people who forget their sunglasses on the beach/ in a restaurant etc., would be equally high. Tzukuri, an Australian start up launched its range of beacon-enabled sunglasses that will not let you leave them behind! Tzukuri sunglasses have a 3mm-wide Bluetooth Low Energy chip embedded in the temple of the acetate frames. Once you’ve paired your sunglasses with your iPhone, the Tzukuri app sends an alert once your phone gets 16 feet away from your glasses. Further alerts come in at 32 feet and 50 feet, unless you dismiss the first alert. It also works the other way round: if you leave your iPhone somewhere, the app will realize your phone is sitting still while your sunglasses move away, and trigger an extra loud ring from your abandoned phone. Luckily, the app learns when you’re at home or work, so you don’t get blasted every time your phone and shades part ways! The best thing is that once you have paired the glasses with your phone, there’s nothing else you need to do. A tiny solar cell on the sunglasses’ bluetooth chip keeps the transponder constantly charged, and if it needs to be recharged, a message will pop up on your phone telling you to put your sunglasses in the sun for an hour or so. If you happen to somehow ignore all those safety nets, and end up more than a few dozen yards from your glasses, the app saves the last location where your shades and your phone were in the same place, and lets you retrace your steps on the map. Thus, beacons as wearables have ushered in an era of contextual and proximity experiences that with its’ small nudges can help us make our lives better. The future definitely looks promising for beacons and our beacon-enabled, healthy lifestyle! If I talk about the future, Yes Wearable Beacon can play an excellent role in safety. There are number of company which provide the personal safety devices those basically are wearable beacon. I have experience with one of the USA Company http://www.silentbeacon.com, that provide the emergency security alert system with the help of Beacon and that work perfect for me in terms of personal safety in emergency situation. So according to this experince, I can say wearable beacon can save our life if we caught in any emergency situation.